Arts and Crafts shoppe for artist supplies, art work and painting, posters, limited edition art prints and sculptures and more. Search or browse through the the Overstock/Worldstock handmade collectables. Hit the "shopping link" to return to the main display. Click their coupon and daily deals link and all current choices are displayed below. We realize that customers have other choices for online art and our goal was to develop a fresh new online experience that allowed both consumers and professional artists a new outlet for sharing, creating and buying actual wall art from digital files. We already knew that most consumers were getting used to the idea of purchasing online photo prints which originated from digital camera files, but it was much less obvious that both consumers and artists could also use an online system for production AND sales of enduring wall art in the same way. Make your Masterpiece - Turn your photos and digital art into high quality framed wall art at www.ImageKind.com The goal is to create the nations largest online art and framing outlet for personal art collections, photos and investment quality limited edition artwork from the skilled modern day artist and old masters. Artistry, Innovation and Enduring Value.. Through its partners, The Bradford Exchange Online has a foundation of several decades of experience and trust in the international collectibles market. Founded in 1973 by J. Roderick MacArthur, The Bradford Exchange was at first known as a computerized trading center for limited-edition collector's plates, an innovation that completely revolutionized the collectibles market of that era. GET-IN2 BONUS: Hidden Special Offers Page of Bradford Exchange limited time bargains ..
New this year is Brushstrokes canvas and paper print replicas of the top contemporary -Old masters and Impressionist period Artworks. Choose a painting category and the artwork and price will display right here on this page., or Search for a favorite artist and see what we have to offer you. Explore the remarkable work of the Old Masters, important and breathtaking European and American Art including paintings from the Renaissance to the end of the 19th Century. Our Impressionist gallery offers the discerning patron an impressive collection of important European and American Impressionist art masterpieces. The Contemporary Artist gallery celebrates important American and European modern and abstract art of the 20th century and today. Display the Art of Max Hayslette , Edgar Degas , see all the Brushstrokes Fine Art by renown artists. in your home or office. Lifetime Guarantee -We are so confident in the craftsmanship that goes into the making of each Brushstrokes®, we guarantee their quality for life. All Brushstrokes® carry a lifetime guarantee on workmanship. If there is any quality issue with your painting, let us know and we will make it right. 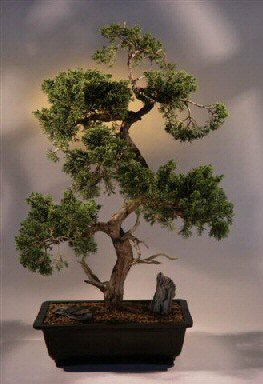 Bonsai (pronounced bone-sigh) is an ancient oriental horticultural art form. The word Bonsai literally means, in both Chinese and in the Japanese language, tree-in- a-pot. 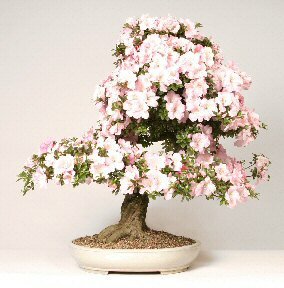 Every branch and twig of a bonsai is shaped or eliminated until the chosen image is achieved. From then on, these living pieces of art will transform your life and add beauty to your home or garden..CLICK HERE to see our Bonsai shoppe. One of the hottest sellers at Webworld Mall's flower shoppe is the beautiful Bonzai Trees offered by Bonzai of NY. These make great gifts and add a long lasting ( some live for over a 100 years) decoration to a porch, patio or garden. They do real well indoors in a sun room and change colors and bloom with the seasons..our best seller for uniue gift giving. See our Bonzai Center for information on the great hobby. We also offer complete links to all worldwide bonsai resources on the net! Many Americans have purchased a Bonsai Tree as a living memorial to those who lost their lives at the NYC World Trade Center September 11th 2001. Bonsai (pronounced bone-sigh) is an ancient oriental horticultural art form. The word Bonsai literally means, in both Chinese and in the Japanese language, tree-in- a-pot. ..CLICK HERE to see our new Bonsai shoppe. Add some life to your kitchen, office, or cubicle with the Juniper 8-inch Bonsai Tree for only $39.98 This Juniper Bonsai tree (botanical name Juniperus Procumbens Nana) generally grows cascading outwards and is a perfect starter Bonsai tree. It makes a great conversation piece in your home or office and includes a stylish 8-inch ceramic pot. The Plant measures approximately 8 to 14 inches tall and we guarantee live delivery. Buy several all for the low total order shipping price of $2.95.....Take a look at all the Bonsai Trees offered at Overstock's low price. Shop all the various departments at EcomCity's 2 Cybermalls for real bargains from trusted merchants. No popups -no spam and no sheister merchants will ever appear on these shopping pages. Click here to see EcomCity's top discounters daily deals, coupon offers and web only markdowns in one self contained savvy shopper page. Take a look at all our discounted Estate Jewelry- one of a kind pieces..click here. Image Marketing Services designs visually exciting web sites incorporating graphics art, animations and custom logos. They invite you to sample some of their work both here at EcomCity and at the online gallery. Web pages don't have to have that canned clip art look. Let these gifted artists and programmers make over your web site. 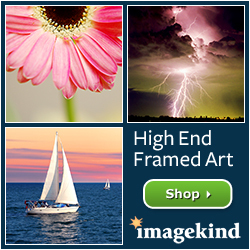 Click image to enter our art gallery and view some dramatic digital art. IMS also designs logos and has launched over 240 web sites for small and large companies. We design sites that sell using e-commerce shopping carts and visually exciting e-catalogs. Get a complete site makeover by the artists and HTML experts at Image Marketing Services. IMS has created thousands of special graphics for our clients web sites. We appreciate your comments and critiques so please feel free to or sign our guestbook and express yourself about the art work or Web site. Take the complete ART tour above and be sure to bookmark this page as the displays change often. E-mail EcomCity's IMS Webmaster Mike for quotes on site makeovers, art tips or adding some visual excitment to your web pages. You may also read his e-commerce newsletters ..by clicking here.